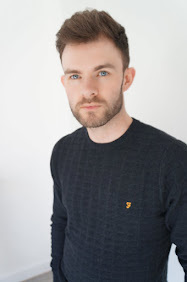 As 30th Birthday presents go, a trip to Barcelona from my Fiance was an incredible and very thoughtful idea. My excitement had to be reigned in though as we had 2 months to wait until we jetted off for this mini break. This amount of time though was no bad thing. We had ample time to research & plan our three and a bit days there. 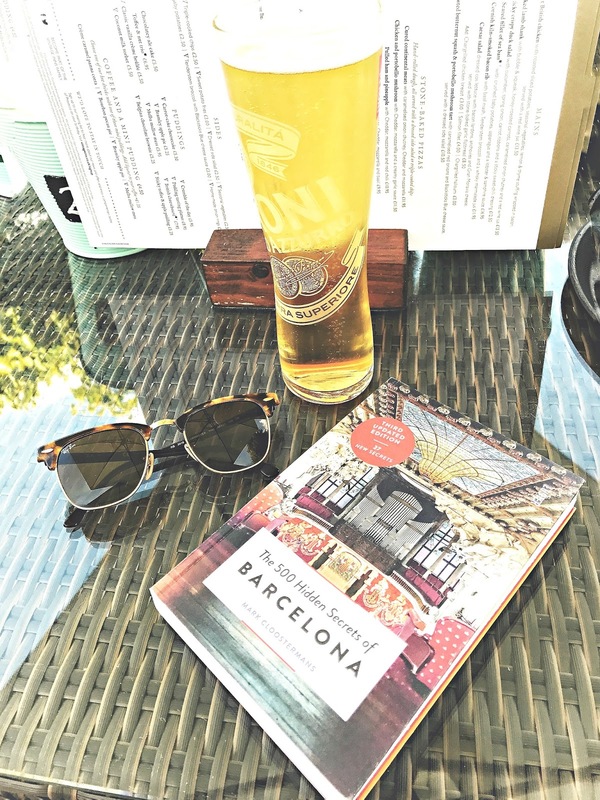 So over the past 7 or 8 weeks we have taken ourselves into the kitchen to discuss ideas over several cups of tea (or laid out in the garden when the weather has allowed) and taken our travel literature to various beer gardens to come up with the ideal itinerary for both our tastes. My first recommendation would be to purchase a copy of The 500 Hidden Secrets Of Barcelona by Mark Cloostermans. This really helped us with suggestions under various categories such as: stylish restaurants, landmarks, tapas bars, breathtaking views and so much more. With five suggestions per category, we didn't feel overwhelmed by the choices and it really helped as we could quickly google and trip advisor each place to see whether it was to our taste, easy to get to and of course how many 'instagrammable' photo opportunities we could get. We had 3 (and a bit) days to fit as much in as we could without rushing - we wanted to make sure we had enough time to take everything in, as well as factoring in time for general 'wandering'. We didn't want to waste any precious time, so we downloaded a great app called Sygic Travel: Trip & City Guide. Using this is pretty easy - you could use pre loaded templates with suggestions based upon your days or reason for travel, we however opted to choose our amount of days and start inputting our selected destinations. We could see where each place was in relation to our hotel, and enabled us to work out where we could save time and visit places closer together and where our eating and drinking choices would fit in with that too. Once we had inputted everything we really wanted to see and do, it was clear that the few days were going be jam packed! 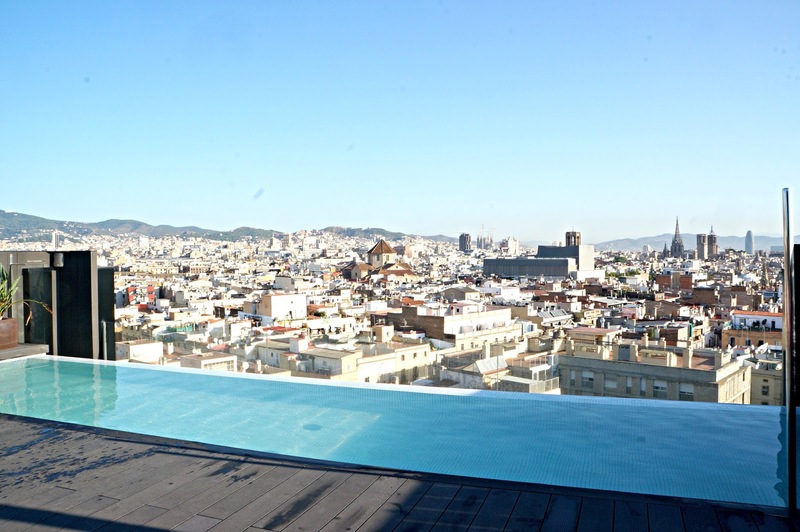 I would in urge however not to keep things too tight time wise as Barcelona is a fabulous city to just 'get lost' in! You get drawn in by the little side streets with their hidden gems and independent shops selling clothes, home interior bits, local products, street food and so much more. On top of this and what makes this city so incredible are the buildings and various structures around every corner. The city is one giant art gallery and we could of easily just spent a full day walking around and taking it all in, snapping away as many pictures as we could. Good food is extremely important to me (there has been many occasions where Hanrgy Sean has kicked in) so it was vital that with a lot of walking about over the three days that we had some great restaurants to visit and sample the local cuisine... as well as a few pints of Estrella & the odd jug of Sangria, of course! Greeted by very friendly and welcoming staff, they were more than happy to talk us through the menu options making suggestions of what goes well together as well as particular dishes that they recommend. The choice was difficult, but we opted for a selection of Patatinas Bravas, a plate of Serrano ham, Grilled aged beef with edible charcoal (still don't know what this was made of) homemade ham croquette and what was my favourite and highly recommend selection was the marinated sea bass with avocado, bloody mary and pico de gallo. Not entirely sure how but there was just enough room for us to share a dessert of white chocolate cloud, pistachio and goats cheese ice cream. During a little over two hours, the customers kept coming in, obviously a popular place and for good reason. Constantly looked after and considering it was so busy at no point did we feel rushed, nor were the tables too close together, allowing us the ideal first meal for this trip. Just make sure you book in - this place is incredibly popular! Our second evening restaurant was one that wasn't originally in our plans, mainly due to our very sore feet and legs after a good 9 hours walking around in the day, but also on the way back to our hotel we were looking for one that was on our list and on the way came across a lovely looking place called Luzia. 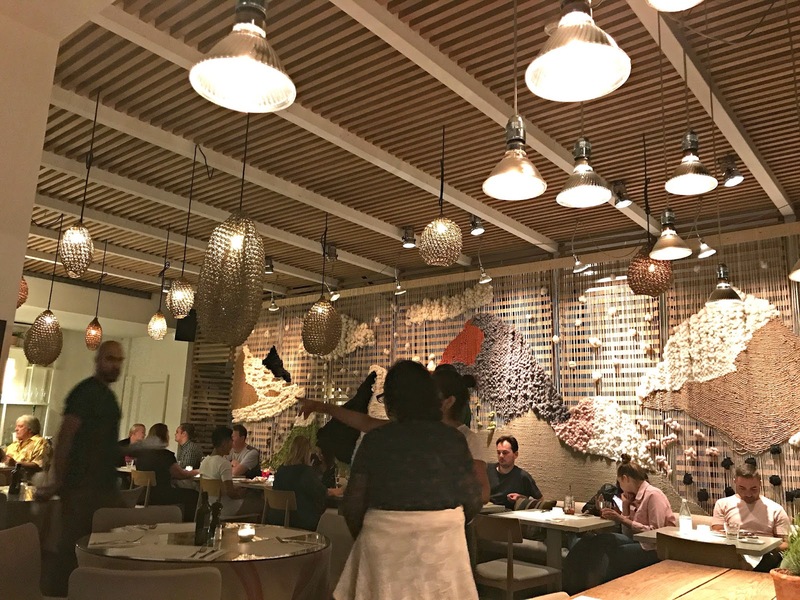 It seemed to have a mixture of dishes and that was also reflected with the interior, a giant wooden dragon dominated the ceiling, alongside bohemian hints and rustic furniture and wall art. Helped by a customer leaving telling us that it was somewhere she would highly recommend, we thought why not? There was another great array of tapas dishes, but on this occasion the lure of the wood fired pizza oven couldn't be ignored. The pizza's were delicious and there is something about being able to watch it being made, the dough being prepared and tossed in the air, and the open view kitchen enabling you as the customer to see everything happening. The restaurant has such a cosy feel and some very friendly staff. 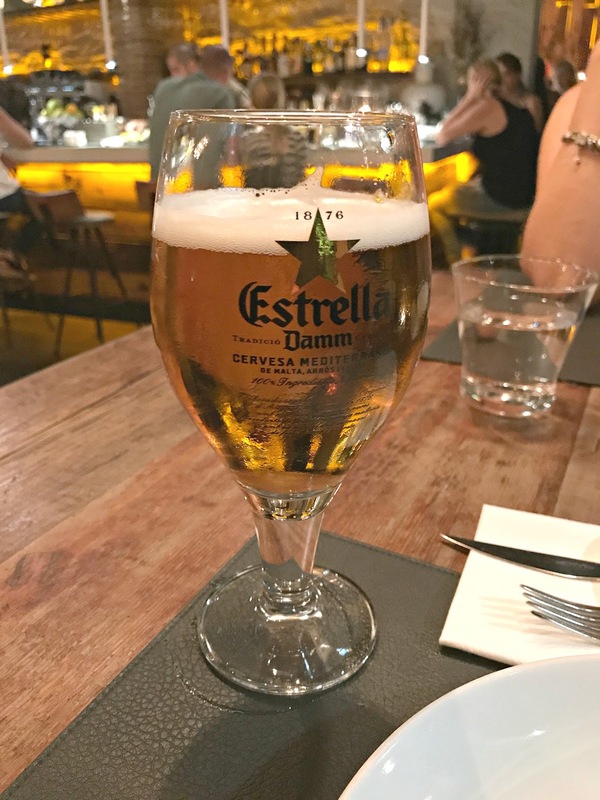 It was a very easy place to be and it felt very welcoming after a hard days sight seeing, however my sweet tooth was left wanting as there was no desserts on the menu, this is no bad thing though as there are a number of places you can satisfy that need as you turn back on to The Ramblas. 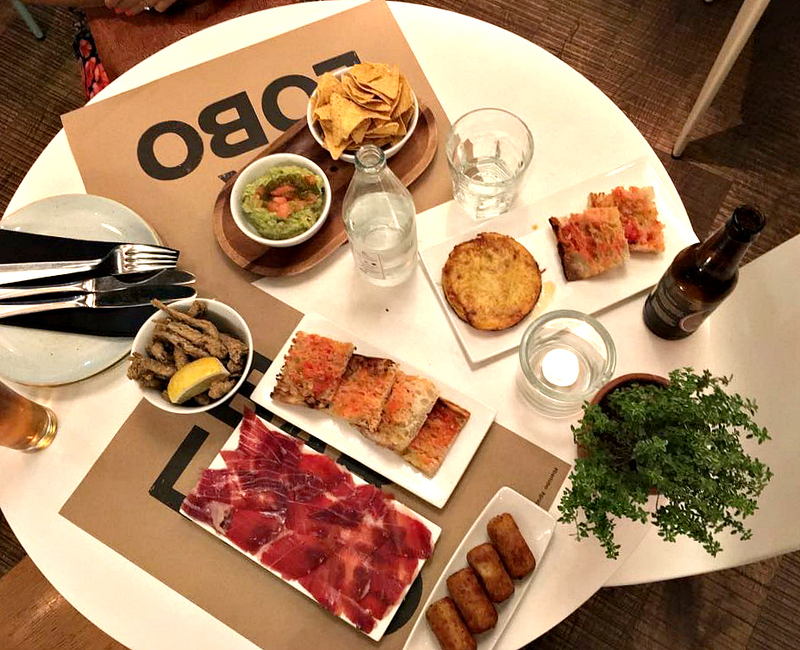 Our final main meal was reserved for Bar Lobo, perfectly located to The Ramblas it was a good stumbling distance back to the hotel as well as offering some great instagramable opportunities. 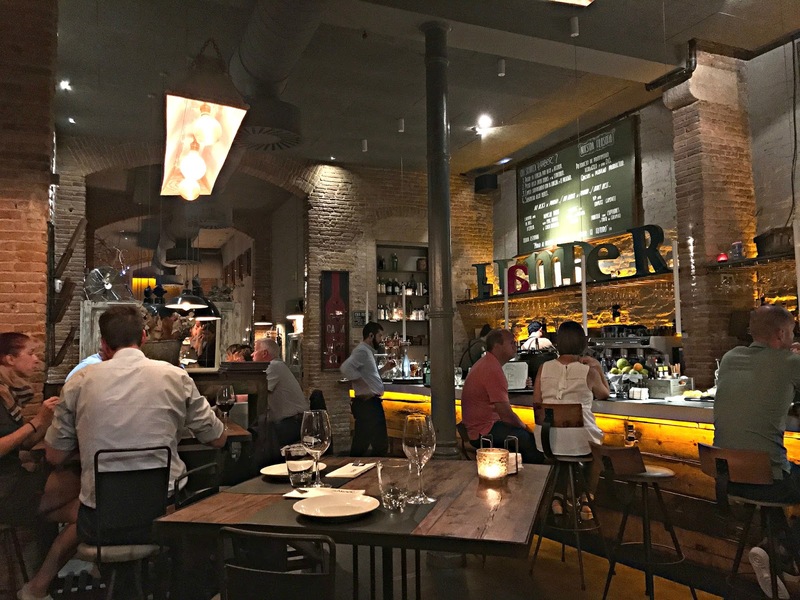 The first tick box had to be the quality of the food however and the menu looked great and with a large amount of tapas dishes to choose from it seemed rude not to end the trip with my second taste of the local traditional food. Again we seemed to pretty much fill our table with as much as we thought we could fit in. We had some beautiful Serrano Ham, nachos, white bait, potato omelette, asparagus tempura, ham croquettes and brushed tomato bread, with a jug of sangria to accompany it all. The food was delicious and incredible value. 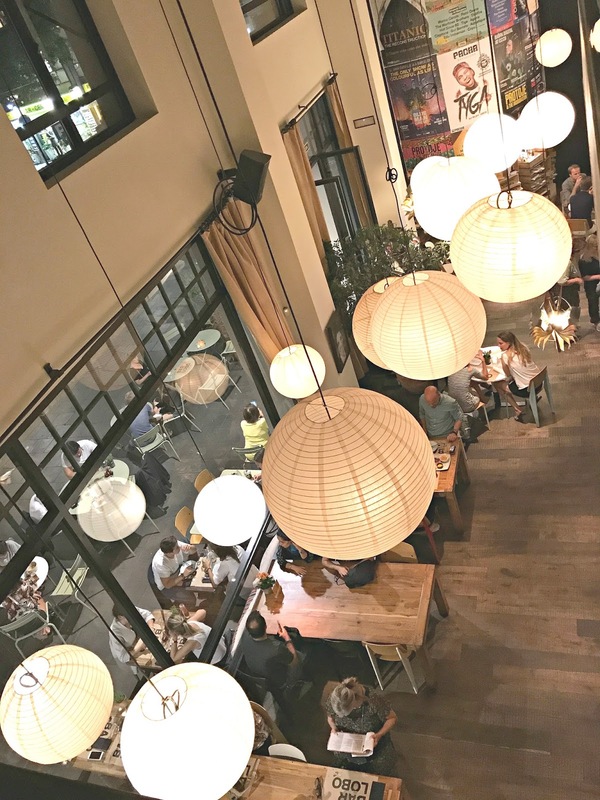 The interior was a classy mix of modern and rustic materials with very high ceilings, suspended from which are several round lanterns and lights made out of books all combined make a very cool look and very camera friendly. To top this place off was the wonderful service, I'm a stickler for good customer service and the lady that was looking after us couldn't have been more friendly and helpful. It was a perfect last destination for our final night and comes with a high recommendation from me. A bit of advice here would be that they don't take reservations but there were a few tables to choose from when we arrived at 9pm - thats the time I would aim for as it seems to get insanely busy everywhere across the city after this time. 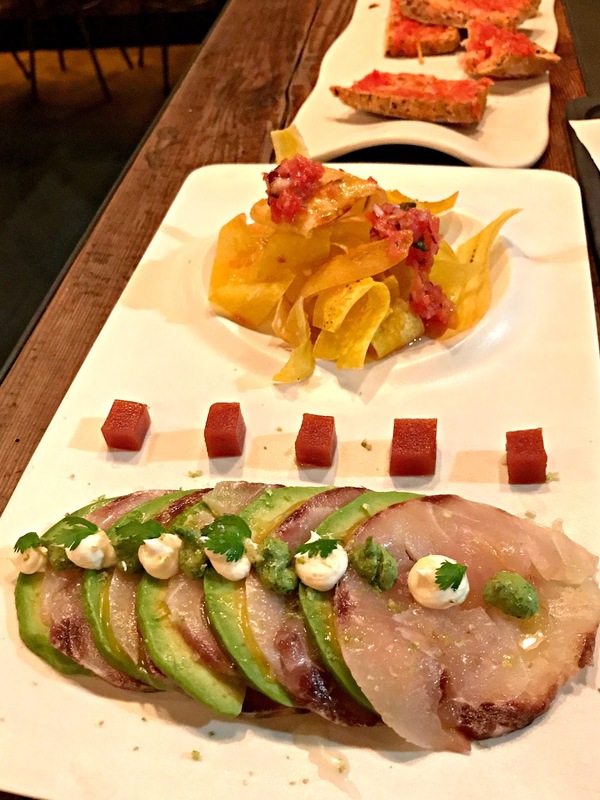 Hope you foodies out there get to experience some of these great Barcelona finds, coming up next will be the great places we visited for breakfast, brunch and coffee.